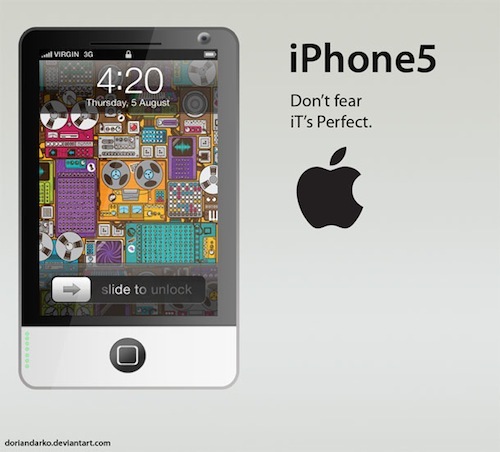 Few days back, 9to5mac reported that Apple is working on a version of the iPhone that will work on Sprint network. 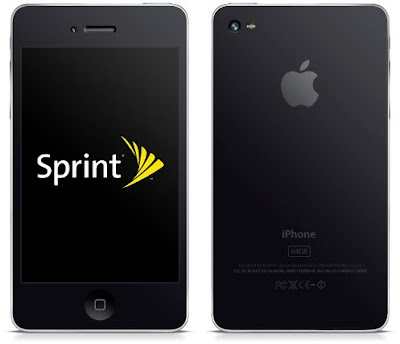 Mark Gurman of 9to5mac believes that “The physical design of this device is akin to the iPhone 4 of today, so this might be the iPhone 4S device with support for all carriers.” Both Apple’s “black labs” and Sprint’s R&D department are testing the new phone. Apple has even installed Sprint-compatible cell towers on their campus for testing. 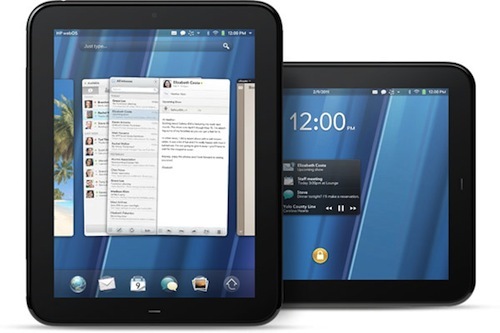 HP TouchPad is the second most awaited tablet this year after iPad 2 and HP announced today the wait will be soon over. HP TouchPad will be available in the United States on July 1st. United Kingdom, Ireland France and Germany will get the tablet few days later followed by Canada in mid-July. As of other regions including Asia, Australia and rest of Europe HP says TouchPad will be launched later this year. Sony today announced NEX-C3 featuring 16.2-megapixel sensor and 720p video recording. 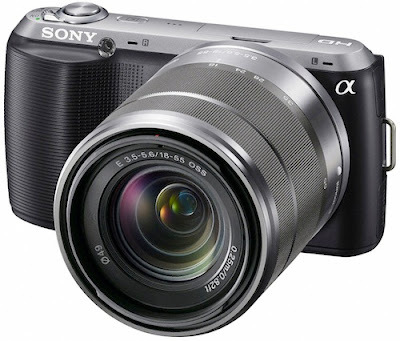 Sony claims new NEX-C3 is the world's smallest, lightest interchangeable lens camera with an APS-C sized sensor. Sony reduced the size of internal circuitry to shrink the camera size and achieve a body weight of just 225g (8 ounces) – nearly six percent lighter than its predecessor, the NEX-3 camera. At the E3 Expo, Nintendo introduced Wii U, a new console that includes a controller with a 6.2-inch screen. 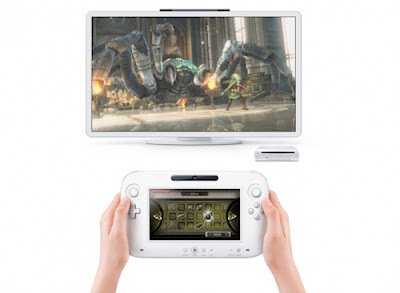 According to Nintendo, adding a second screen to the living room creates a multitude of new video game experiences while offering families a variety of options to customize their entertainment. Apple today previewed iOS 5, the latest version of the world’s most advanced mobile operating system, and released a beta version to iOS Developer Program members. The iOS 5 beta release includes over 200 new features that will be available to iPhone, iPad and iPod touch users this fall. New iOS 5 features include: Notification Center, an innovative way to easily view and manage notifications in one place without interruption; iMessage, a new messaging service that lets you easily send text messages, photos and videos between all iOS devices; and Newsstand, a new way to purchase and organize your newspaper and magazine subscriptions. With the new PC Free feature, iOS 5 users can activate and set up their iOS device right out of the box and get software updates over the air with no computer required. 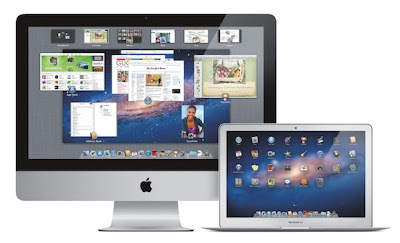 Apple today announced that Mac OS X Lion, the eighth major release of the world’s most advanced operating system with more than 250 new features and 3,000 new developer APIs, will be available to customers in July as a download from the Mac App Store for $29.99. Some of the amazing features in Lion include: new Multi-Touch gestures; system-wide support for full screen apps; Mission Control, an innovative view of everything running on your Mac; the Mac App Store, the best place to find and explore great software, built right into the OS; Launchpad, a new home for all your apps; and a completely redesigned Mail app. We will be posting detailed reports about all of the three announcements Apple made on TechzTalk later today. Please check that out later. Thank you for joining us for the Live Coverage. Steve ends the Keynote by talking about WWDC. And That's it. Now Steve is talking about the data center. he says "Now if you don't think we're serious about this, you're wrong. This is our third data center that we just completed. This is what it looks like. It's rather large. It's as eco friendly as you can make a data center. Just to give you a feel for it's size, see the dots on the roof? Those are people. And it's full of stuff. Full of expensive stuff. And we're ready for our customers to start using iCloud." iTunes Match is a $24.99 per year service and your songs will be upgraded to 256k AAC DRM free. The iTunes Match works with iTunes in the cloud. For the songs that you ripped Apple is offering iTunes Match. Steve says "We have 18m songs in the music store. Our software will scan what you have, the stuff you've ripped, and figure out if there's a match. If you have to upload your whole library, that could take weeks. If we're scanning and matching, we don't have to upload them. They're in the cloud." Now Steve says "Now there's one more thing. A small thing." It is available today as developer beta. So how do you get it? Steve says "When you upgrade a phone or buy a new one, you get it. It'll be turned on by default. We're also giving everyone 5GB for storage of mail — and apps and books don't count. And we're not counting Photo Stream." The combination of these apps is iCloud and is free. 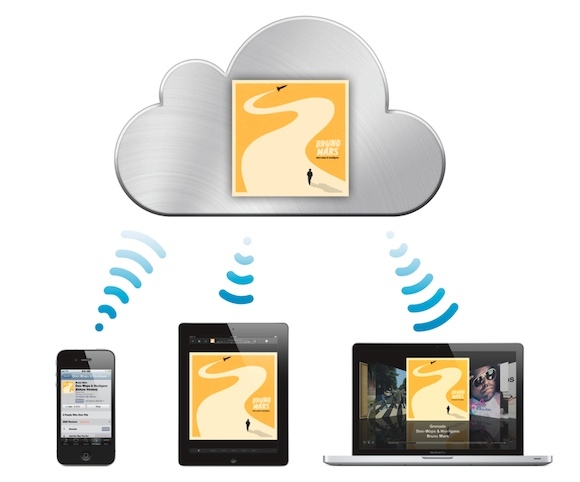 It looks like iCloud is all about syncing/pushing, (we don't think its about streaming your content). Now Eddy is back for a demo of iTunes working with iCloud. It shows the history of all the songs you have bought and with push of little Cloud button you can re-download it for no extra charge. Steve is back and now he is talking about iTunes in Cloud. Eddy Cue is now demoing Photo Stream. Steve says "On the Mac we built it right into iPhoto. And on a PC they don't have a photo app, so we use the pictures folder. And we built it in to Apple TV. So one of the problems we faced was that photos are large, they consume lots of space. So we came up with a great scheme. We're going to store the last 1000 photos on your device. On your Mac or PC, we'll store all of them. And on the server, we'll store them for 30 days." The Photo Stream is built into the app and with push of one button it syncs the photos. Now with iCloud you can take a photo on your iPhone camera and then it is uploaded automatically to the cloud and synced with all you devices. Now Steve says "This next one is maybe my favorite one. And it's called Photo Stream. And it's going to bring the cloud to photos. How many times have we taken photos on our iPhone and wanted to share them on the iPad. Wouldn't it be great if they were already there?" Steve is back on Stage. Apple is releasing iCloud storage APIs for developers to integrate the features in their own apps. Roger Rosner is going to demo iWork working with iCloud. It works with Pages, numbers and Keynote. Now the final three apps that iCloud will bring. First is Documents - if you create Pages doc on any devices it uploads and stores in iCloud and then pushes it to all the device you own. The automatic daily backup will work on WiFi. And the third is Backup. Steve says "We've added wireless backup to the cloud. Once daily, we're gonna back up a lot of your important content to the cloud. If you ever get a new phone, everything will be loaded onto that phone automatically." You can buy them on your devices. Maybe the app you want isn't on the device you've got with you. You can now see your purchase history on all devices. You just push the buttons and download from the cloud. There's no extra charge. And these three Apps will now be free on iCloud. However Apple is adding three more apps first is App Store. He says that Apple has thrown away Mobileme and has written everything from ground up including Contacts, Calendar and Mail apps for iCloud. Steve says the iCloud "Just Works", but "now you might ask, why should I believe them? They're the ones that brought me MobileMe." Steve says "So now, if I get something on my iPhone, it's sent to the cloud immediately, and they're pushed down to my devices automatically. And now everything is in sync without having to think about it. I don't have to be near my Mac or PC." Now we are going to move you hub to the cloud and Mac/PC will become a device. "You were going to acquire it, and sync it to the Mac, and everything would work fine. And it did... but it's broken down in the last few years. Why? Because all your devices have photos, have video, have music. If I buy something on my phone, I have to sync it to get a song I bought. Then I have to sync that to other devices, and if I have photos, it's the same thing... and keeping these devices in sync is driving us crazy." Steve is back on stage he says "I get to talk about iCloud. We've been working on this for some time. About 10 years ago, we had one of our most important insights. We thought the PC would be the hub for your digital life. Where you put your photos, your video, your music." iOS 5 preview is available for developers today and it will be released this fall. Scott is now listing some of the new features that he didn't talk about like WiFi Sync for iTunes, new multitasking gestures and updated iPod music app. A message comes in and using the notification center Scott goes to iMessage and replies. Demo - Showing the new Notification Center in action while playing a game. With iMessage you can send text, photos, videos and contacts. You can get delivery receipts and optional read receipts for the message. Next is iMessage "Our customers have been asking us for a new messaging solution. We're launching a service that works for all iOS 5 customers. We call it iMessage. It supports iPhone, iPad, and iPod touch." Feature number 9 Game Center. there are 50 million Game Center users. Scott says "To put that in perspective, Xbox Live has been around for 8 years, and they have 30m users. We're making it even better in iOS 5. We're adding photos. You can compare yourself against your friends. You can see friends of friends. You'll get recommended friends. And we've added game recommendations." Now when you take out the iPhone for the first time you will see a Welcome screen is place of Connect to iTunes screen. Everything will be over the Air even software update. Feature Number 8 - PC Free, Wireless syncing. Apple is also adding split keyboard for thumb typing it is designed for iPad. For iPad Apple is adding Swipe gestures for Mail app. Next feature is Mail App Apple is adding rich text formatting, indentation, drag addresses, flag and unflag and Mac OS X like search. Apple is also adding cropping, red eye reduction and quick enhance to the Camera app. You can now pinch to zoom in Camera and it does auto focus and exposure lock if you hold you finger on the touchscreen. Now its Camera "We want to make using the camera even better. We want you to get in faster." Now you can access camera directly from Lock Screen, You can use volume buttons to take pictures. It like to-do list but better. Next is Reminder he says "Wouldn't it be great if you could get rid of all those scraps of paper you make notes on... and your phone reminded you to do things instead of just keeping a list." Demo time - Scott is now showing the Safari in action, the reader works exacatly like the Reader feature in Safari on Mac OS X. Actually it makes the page more readable. The fourth feature is Safari. 64% percentage of mobile browser usage comes from Safari. The new Safari offer Reader feature, Reading List, Tabbed browsing. It automatically update all the new issues and keeps everything organized. Second feature is Newsstand that will maintain magazine and newspaper subscription. 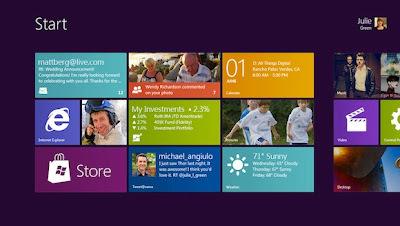 The Notification Center allows you to manage specific apps as well as all the notifications at once. Demo time to access Notification center from lock screen just slide you finger any were and it will take you to the notification center. First is Notification Center. It looks just like Mobile Notifier. iOS 5 is the next big release that will bring 200 new features and 1500 new APIs, but we will talk about only 10 features today, says Scott. 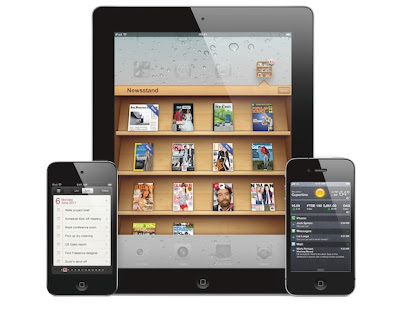 Over 130 million books have been downloaded from iBookStore. There are 425,000 iPhone apps and 90,000 iPad apps on App Store. He says iOS is the number one mobile operating system in the world with 44% market share. There are over 200 million iOS device in use today. Apple has sold over 25 million iPad in first 14 months and 15 billion apps have been downloaded from App Store. Scott Forstall is on stage to talk about iOS 5. Developer preview is available today and consumers will get it in July. Now Phil is back on the stage and listing some of the new features. He says that their are over 3000 new APIs for developers. In Conversation view Mail app strip out all of that extra text and lines and just shows the main conversation. Craig is now demoing the new Mail app in Lion. He shows how you can use two or three column view. And the new Search Suggestion feature that looks really powerful and fast. Mail will also have new Conversation View that will show all the mails in a conversation in a single view. And the last feature Mail. A complete redesigned iOS like Mail app that offers two or three column view. Phil says that one of the most powerful Mail feature is new search suggestion. AirDrop is a peer to peer file sharing utility. You can easily added computer to your Airdrop list and when you want to share a file just simply drag and drop. Now Craig is demoing AirDrop he says its the easiest way to share files between two computers. It is really impressive how easy it is to use those features. He says "Just click on the version I want, and it's restored. But I can go further than that. But when I restore a doc, I sometimes don't want to take the whole document. Sometimes I just want a piece. You can do that with Versions. These two documents are live." Next he is showing how fantastic the Mac is with Lion when working with documents. he is basically showing Auto Save and Versions features in action. Craig is back for demo. He is showing LaunchPad demo. you can access LaunchPad though the Dock or by four finger pinch. The next feature is Versions, it takes snapshots of the documents and allow you to browse all the version of the give document. without you needing to save the doc. It uses Auto Save feature. Now its Auto Save, all application in Lion will auto save without the you needing to press save. Next is a new features called 'Resume', it allow you to resume you work from where you left even after a restart. You can launch the LaunchPad by a simple gesture to access all you Apps. The App Store will be built into Lion. It will have in-app purchases, push notificaitons, sandboxing and delta updates. Demo is over, Phil is back on stage. It Mac App Store now, He says that the Mac App Store has already become number one place to buy PC apps beating big box stores like Best Buy and Walmart. Now Photo Booth in full screen mode. it has face tracking and other new features. Now thyey show how you can reach Mission control from a full screen app by swiping three finger down on the track pad. Now iPhoto in full screen. Three finger swipe allow you to move between full screen apps. These are the features that Apple has already shown. They are doing demos on MacBook Pro not iMac this time. They show Pinch to zoom, double tap zoom, two finger swipe in Safari. Next up Mission Control, It unifies Expose and Spaces for easy access to all you open Apps. Now demo time. Second is Full Screen Apps, Safari, Keynote and other Apple Core apps are full screen enabled now. Developers can add this feature very easily. First is multitouch gestures. Phil shows the current gestures in Mac OS X Snow Leopard and says we are going way further with lion. He shows few gestures. Lion will have 250 new features, but we will talk about only 10 today. He says its because Mac is so good the whole PC industry wants to copy it. Now he is talking about how Mac looked 10 years ago. Phil says this product is all about Mac. Mac is doing very well. We have 54 million active users. Now he is talking about Mac growth. We will talk about three things today, Lion, iOS5 and some kind of cloud service. Let's start with Lion. Phil and Craig will talk about Lion. Steve says we have got a awesome morning together, there are over 5,200 attendees and it's going to be the biggest WWDC ever. Here we go, the lights are down and Steve walks on the stage, everyone gives a standing ovation. Apple announcement "Ladies and gentlemen our presentation will begin shortly. Switch your devices to silent." Everyone is getting settled the keynote should begin in about 10 mins. Never seen a line this big for any press event ever. There are more than thousand people here. The YouTube link shows the line at 6:30 in the morning. 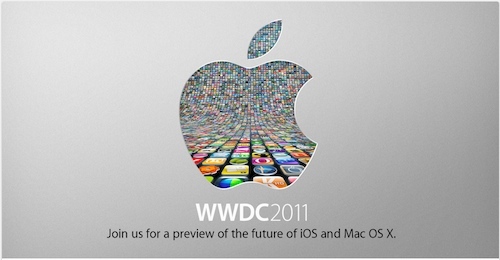 Apple’s CEO, Steve Jobs will kick start WWDC 2011 with a keynote tomorrow at 10 AM in San Francisco, California. Apple has already announced that they will unveil its next generation software - Lion, the eighth major release of Mac OS X; iOS 5, the next version of Apple’s mobile operating system which powers the iPad, iPhone and iPod touch; and iCloud, Apple’s upcoming cloud services offering. Additional, rumors are that Apple will also introduce new Airport router lineup with Apple’s A5 processor and iOS, App for Apple TV and may next generation iPhone. We will be doing live coverage of Steve Jobs keynote at WWDC 2011 tomorrow at 10 AM PST / 1 PM EST / 6 PM London / 11:30 PM India. Please join us at live.TechzTalk.com for live blogging. You can also check out the video of last years WWDC 2010 below, where Apple announced the iPhone 4.